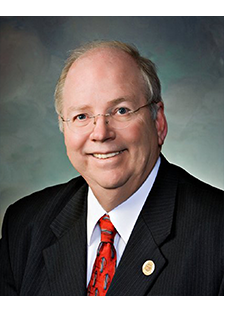 Commissioner Andy Tobin was first elected to the Arizona House of Representatives in 2006 and served as Speaker of the House from 2011 to 2014. He was appointed by Governor Doug Ducey to fill a vacant seat on the Arizona Corporation Commission in 2015 and elected to serve a full term in 2016. During this time, Commissioner Tobin has focused on getting broadband (internet) connections into rural Arizona schools, been instrumental in establishing the Water Emergency Team to proactively protect Arizona’s water supply, and recently introduced the Arizona Energy Modernization Plan calling for 80 percent of the state’s electricity generation to come from clean energy by 2050.